Three years ago we published one of our favorite lists: the NYC Ice List. 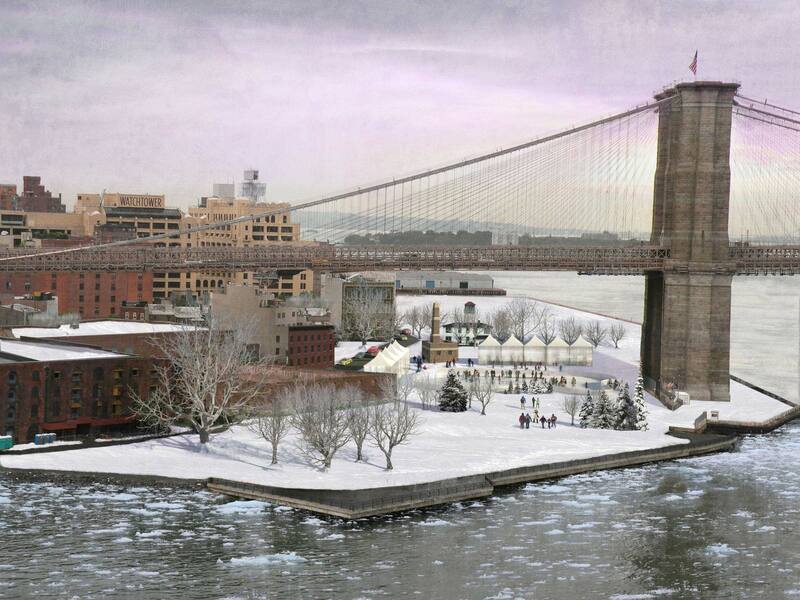 Today we are happy to announce a maybe addition to the list: the Brooklyn Bridge Park Ice Rink. You know, under the Brooklyn Bridge, where the New Brooklyn Bridge Park will someday be located, maybe. As that article says, they are starting it THIS MONTH (said on the last day of November). 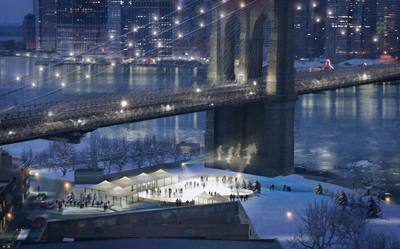 The rink awesomeness is designed by landscape architects dlandstudio, they of the first ever Pop-Up Park, which was located this summer just on the other side of the bridge. Word is the ice rink is getting fundraising help from the Brooklyn Bridge Park Conservancy, so perhaps we'll see this on the Ice List for real next year.